Our first team arrived in Tototlan, Mexico in April 2010. With your prayers, encouragement, and financial support the team continues to share the Good News of Jesus Christ and His kingdom facilitating encounters with the love and the power of God with the people of Mexico. Blessings to you! We've put together a few guidelines we hope you'll look over and share with others who are participating. Our God is an awesome God! Aloha and E Komo Mai! May the Lord bless you and anoint you as you gather to worship Him and exalt His Name. He is truly doing great things here in Kaua`i and across the state! As we gather and "dwell together in unity" He commands a blessing (Psalm 133). Let us lift Jesus up in our praises and prayers. He said "And I, if I be lifted up…will draw all men to myself" (John 12:32). What amazing things happen when we lift Him up and our gaze is fixed on Him. Our desire is that each of us will encounter God during this time, that our lives and the lives of everyone in Hawai`i would be changed as we draw near to Him and He draws near to us. Let the Lord be MAGNIFIED! We thought it would be good to share a few guidelines that may help us in our time together. a). Rejoice in the Lord and be free in His presence. Have the liberty to sit, stand, lie down, dance, kneel, raise your hands, walk around... whatever. b). In your freedom be responsible – prefer one another, give place to one another, consider one another. If you have children with you – thank God, but please make sure they are supervised. c). Please remember that this is a prayer and worship gathering (not a teaching or preaching time) meant to exalt Jesus and invite His Presence. d). Try to be sensitive to the "move of God's Spirit". Many times He will be speaking a theme of prayer. Listen for what He is saying to you and through others and as much as possible affirm one another. e). From time to time God may inspire a scripture to you or someone else. If He prompts... step out and read it. He will show you the right moment. f). If you feel that God is giving you a "word" or picture (vision) that should be shared with the body, please submit it to one of the pastors or leaders first. g). 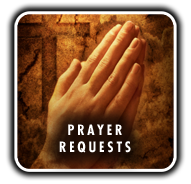 If you have need of prayer for healing, please do contact one of the pastors or leaders for help. h). Above all put on Love and Grace – Let them adorn you and let the Joy of the Lord be released. May our prayers be as sweet incense to the Lord! Mahalo and Blessings on your heads!